Do you believe in miracles? Join our unbelievable rebirth. Once upon a time … and we are talking about times, when every musician could only dream of quick e-mail communication, Facebook and Garageband … a band called Metallica released their infamous black album. 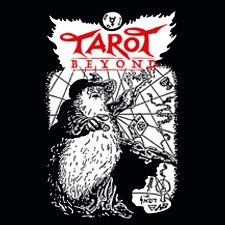 And if you have looked closely in your favourite rock magazines, you might have found nearby a little notice in the demo corner: an unknown band from Berlin called TAROT released their first demo tape.Remember demo tapes?? From Europe to Japan and South America, the demo got pretty good critical response worldwide. Around this time The Scorpions decided to drop their contract with Dierks Studios and we got the opportunity to walk in their footsteps. We got an offer, that Stefan Kaufmann from Accept would produce our first official release. But to make a long story short, we were young and green. So we missed our chance and went down the road so many bands had gone before us. The road to nowhere. That should have been the end of the story. But really? 26 years later, we got an email. A pretty wise guy had remembered the opening song “Atlantis,“ from that demo over the decades and asked for more! This was the start of our rebirth: TAROT beyond. But where are all the old songs? Searching our cellars brought a lot of new stuff to light. Some recordings sound okay, other a little noisy. Althought not every recording is on the best technical and musical standard, there are gallons of spirit in it. So we remastered the old tapes as best as we can and give you now the change to join a German hard rock band, that has returned from the Beyond. Life is full of miracles, so have fun. The booklet includes, lyrics, rare photos and the Tarot Beyond Story, as told by the members of the band.